There is virtually no paint adherence on bare aluminium surfaces with commercially available clear paints. This makes painting extremely difficult to impossible. With the CARTEC 2K Alu Clearplast clear coat especially developed for bare aluminium, painting of diamond cut wheels is easy. It adheres so well that a cross-cut test was passed with the best value GT0 on bare aluminium. The visual appearance is therefore almost identical with the original powder clear coat. With a diamond cut wheel refurbished with the WheelDoctor structure pad technology, it is almost impossible to see the difference to an original wheel. Try it. The matching colour is applied to painted alloy wheels after grinding. But searching for the original can be very time consuming, even for experienced paint shops. With the WheelDoctor wheel painting concept, colour identification and alloy wheel painting are quick and easy. The wheel painting concept colour guide helps with colour matching. 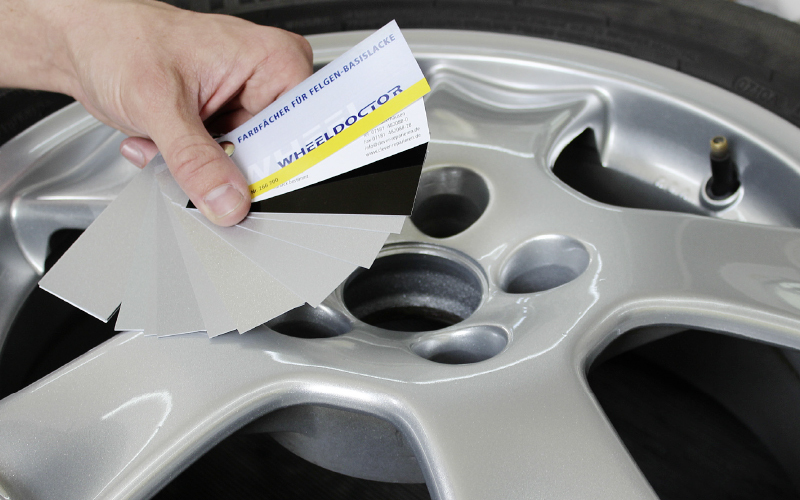 The WheelDoctor range currently includes 16 different acrylic-based wheel base coat paints. This covers up to 90 per cent of the wheel market makes. All WheelDoctor wheel base coat paints are available in patented Spraymax spray cans as well as in the form of ready-to-spray paint for spray guns. There are now also 14 other acrylic-based paints for bi-colour wheels. That is for the diamond cut wheels which are highlighted in coloured paint between the spokes. 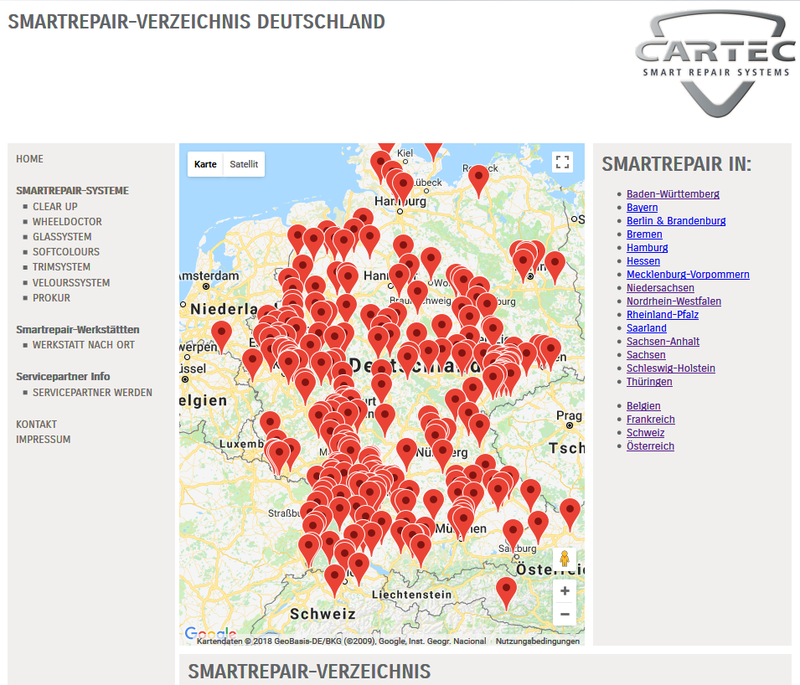 As a CARTEC partner your company will be listed in the Smartrepair-Verzeichnis. End customers can therefore find you quickly and easily with a Web or postcode search.